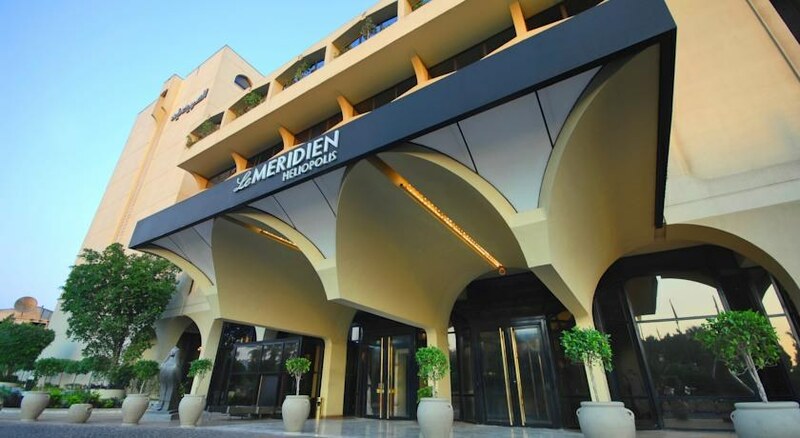 The magnificent 5 Star Le Meridien Heliopolis Hotel rests in the upmarket residential and diplomatic Heliopolis sector of Cairo on El Orouba Street not far from downtown and the heart of Cairo. Ideally located near the Cairo International Conference Centre, 10th of Ramadan Industrial City, and the shopping districts of Heliopolis, Le Meridien has 283 lavish guest rooms, superlative dining options, plenty of banquet and meeting space, free Broadband Internet in the rooms, state of the art fitness facilities, and excellent service with warm Egyptian hospitality, the 5 Star Le Meridien Heliopolis is a destination on its own! Getting to the Hotel: The hotel is only 8 km from Cairo International Airport. Meet & Assist services, as well as Transfer services are complimentary with at least 48 hours advance notice. 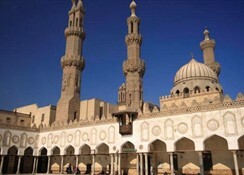 Local Tips: In addition to the world renowned Pyramids of Giza and Sakkara, a taxi ride will bring you to the Sphinx and many other historical sites and museums such as the Coptic Museum, the Egyptian Museum, The Citadel and The Kan El Khalili Market. 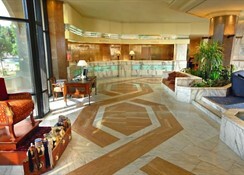 Enjoy 5 Star luxury in the sunshine area of Cairo! Dining: The Le Meridien Heliopolis is booked as Room Only or Bed and Breakfast accommodation with an option for Half Board. 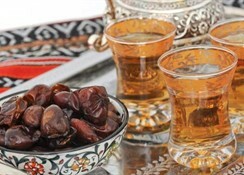 There are several dining options offering gastronomy from around the world and around this fabled city with the bold flavours of Egyptian cuisine coming to life in this land of many facets. Enjoy the ever-refined and elegant Marco Polo restaurant, Rachawadee for Thai cuisine, the stylish St. Germain French Brasserie, Palmeraie Grill for traditional shisha around the pool, the 51 Bar for live entertainment, Jasmin Lobby Lounge, and the trendy Barracuda Lounge available to dance to sultry international beats into the wee hours of the morning! Activities: Outdoor heated swimming pool, beautiful landscaped gardens, sun terrace, whirlpool, Fitness Centre with an extensive selection of cardio and training equipment, sauna, Jacuzzi, steam room, massage treatments, and personal instruction. Tennis and golf are nearby. Additional: 24-hour reception and Concierge service, multilingual staff, currency exchange, airport check-in, Bellman, 24 hour room service, elevators, luggage storage, laundry and dry cleaning service, medical services available, free Wi-Fi Internet access in the entire hotel, disabled access, babysitting service, shoeshine service, express check-in and check-out, shopping arcade, floral service, non-smoking rooms, car rental available, parking. The Le Meridien Heliopolis hotel has six fully-equipped function rooms, with capacity for up to 500 guests, fully-equipped Business Centre has with secretarial services, translation and typing, Internet and email access, fax and photocopying.